Yes: you actually get to pull this train along, through tunnels and over bridges. 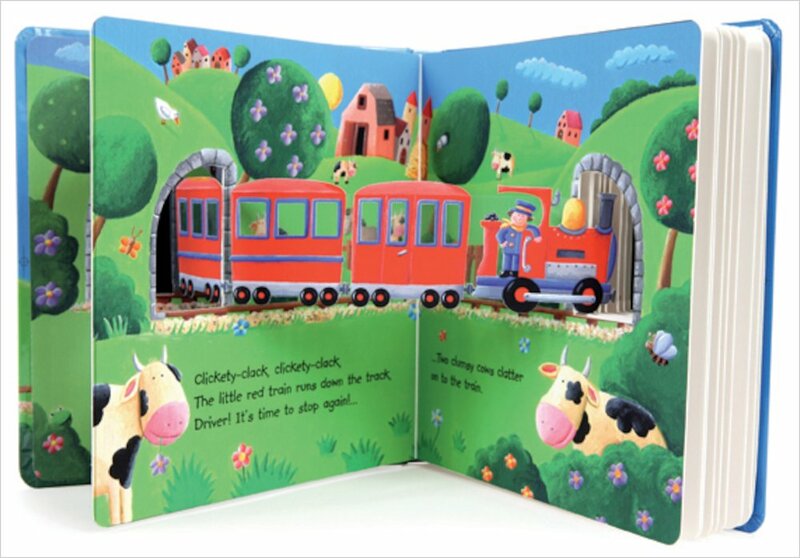 Count the animals, name the different creatures and rhyme the story out loud. As a train rattles through tunnels and over bridges, lots of animal passengers try to squeeze aboard. One hairy horse, two clever cows, three pink pigs: how many can you count? 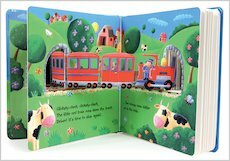 This novelty book has a special ribbon that pulls tight as you read, making the train move along and the animals jump aboard. So much fun! love this book you should read it. 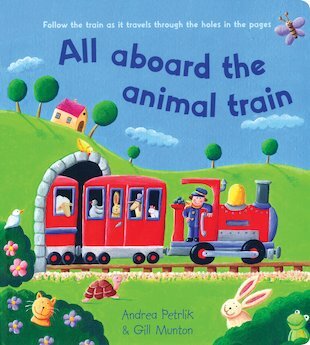 Great rhyming book to read to baby and great for when hes older to learn how to count. When i was littel i read this book and my mum said i laughed my head off so this book is great for liitel trubel makers of littel toddles.